The importance of detox drinks need not be discussed as it has already been well documented. If you desire a beautiful glow on your face or simply desire to live a healthier life or want to shed some extra kilos from your body, a homemade detox drink will be your BFF. It is the easiest and the most delicious way to detox you and they are the most refreshing ingredients that are known to the human race. 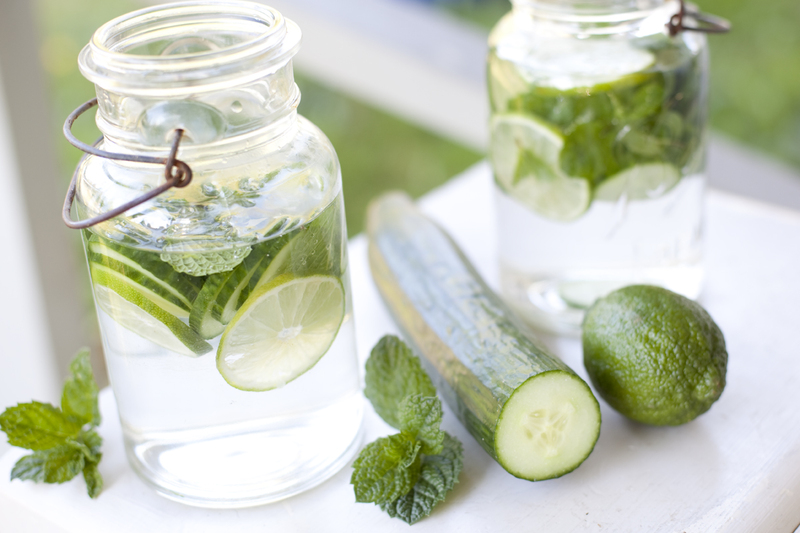 Simply slice the cucumber and take the mint leaves. In a glass of water add the two then put some dash of lemon juice and Himalayan salt. Watermelon is the most refreshing fruit available. Start your day with this power-packed drink and make the most of your day. 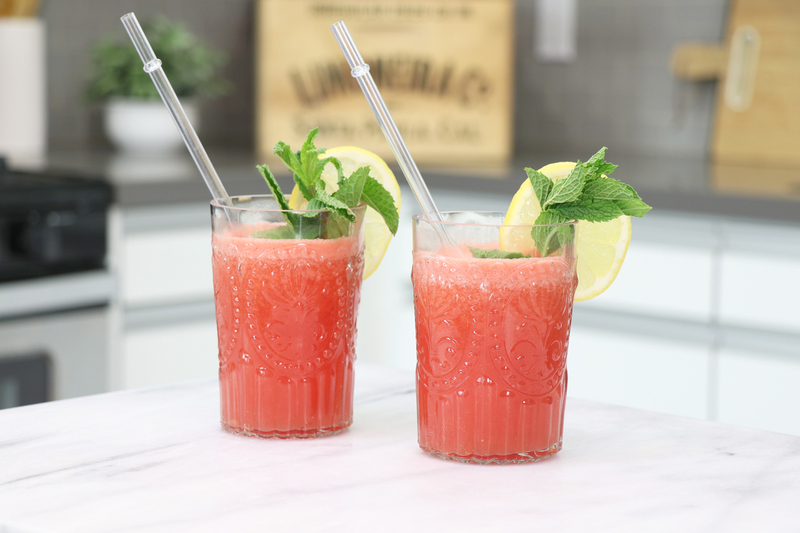 Combine some freshly chopped watermelon cubes and lemon wedges, to increase the flavor orange slices and cucumber slices can also be added, blend well and strain it to get the drink. Drink it and see the benefits in some days. This is a drink to which most of the models also swear and if there is the deficit of iron in your body then you need to have it on daily basis. Combine Apple, Beetroot, and Carrot (ABC) of the fruits and drink it with some kosher salt with the roughage. Within a few weeks there will a considerable difference in the texture of your skin and hair, plus the drink will keep you full for longer. This is one amazing drink that is full of antioxidants and the anti-inflammatory properties of ginger. 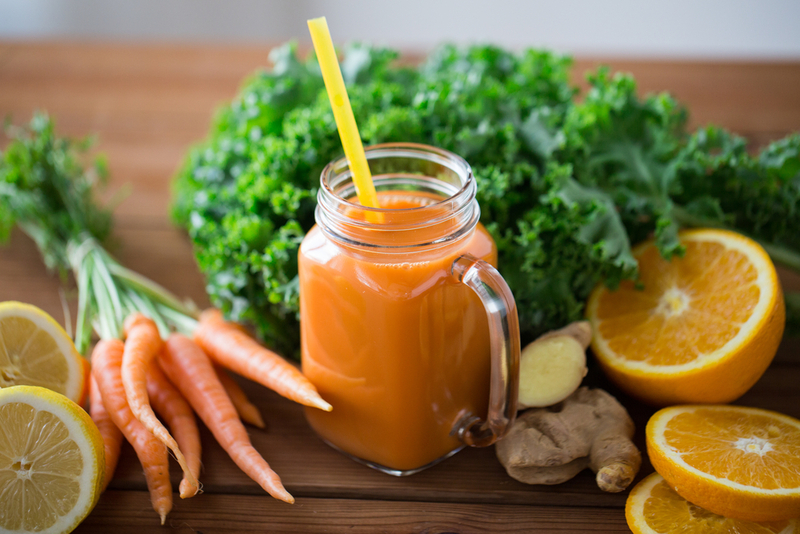 Blend a wedge of orange, carrot and a half inch of ginger, the drink is fibrous and will keep you refreshed all day long. The gentle, sweet and tangy drink will boost your energy levels and keep you refreshed all day long. The drink will clean your systems and remove the toxin from the body. In a large glass of water put some pineapple slices and apple slices, finish it with coriander leaves and enjoy the drink as it is or chill it. Make it your resolution to have the detox drinks even after you enter the new year and reap its benefit. Why King Crab Legs Are Good for Your Health?